Tenchi Muyo, in any form is something that just about anyone can laugh at. It has humor that transcends all ages. Each character that is introduced to you seems to make you laugh even more. It is hours of wonderful fun. The main thing revolves around on boy named Tenchi. Each of the three series OAV, Universe, and TV Series all have the same characters. Each is a little different to bring out another side of the same character. You will soon see Ryoko, Ryo-oh-ki, Ayeka, Sasami, Mihoshi, Washu, Grandfather, and Father. May you get as much Joy out of this Anime as I have. 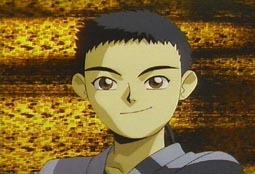 Tenchi is the central character of Tenchi Muyo. Tenchi starts out as a normal high school boy but things happened and he's not as normal as he thinks. He is the grandson of the crown prince of Jurai, which makes him a prince as well. He has a lot of power. He can use the power of Jurai to activate his sword and Lighthawk wings. Tenchi also has too many girls after him, and his grandfather and father are not very sympatheic. Ryoko is a space pirate. She isn't very good at telling the truth. 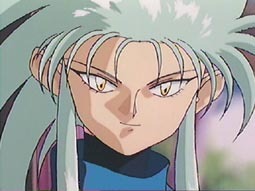 Ryoko is implusive and loves Tenchi very much. She competes with Aeka for Tenchi's affections. She is also quite powerful and has one hell of a temper. 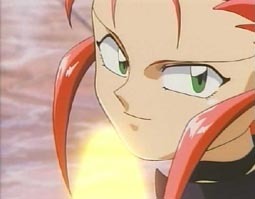 Ryoko is very loyal to those she cares about, and will do anything to defend them. Aeka is the pampered princess of Jurai. She acts for the most part as prim and proper. That is unless she is around Ryoko, Aeka love Tenchi, too. Ryoko tends to bring out the worse in her. 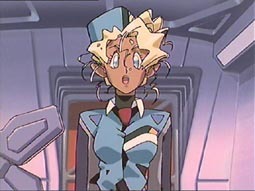 Mihosi is a Galaxy Police officer, who ends up on Earth in pursuit of a criminal, Ryoko. She isn't the smartest person in the universe. In fact, her stupidity makes her one of the most dangerous beings in the universe. 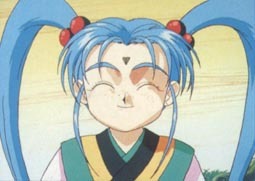 Sasami is the younger sister of Princess Aeka. Princess Sasami is sweet and loves to cook. She also has one power secret that makes her scared. 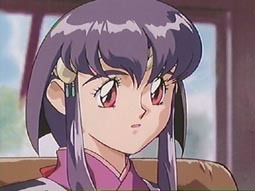 Sasami is afraid that Aeka and Tenchi will not love her anymore when they find out. 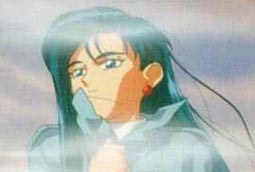 Kiyone is the unfortune partner of Mihoshi. She is sort of like a baby sitter. She graduated 2nd in her class in the Galaxy Police Academy. Kiyone is down on her luck because of her partner, but she is smart and very capable. 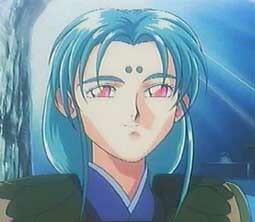 Nobiyuki is Tenchi's father. He is a widower and a pervert. Nobiyuki is always trying to get pictures of Tenchi in compromising positions with one of the girls. Yosho is the grandfather of Tenchi. He is also the crown prince of Jurai. Yoosho ran to Earth to avoid his responsiblities and because he didn't feel like he was worthy of being Emperor. Yosho trains Tenchi how to sword fight and fight in martial arts. Washuu is the greatest mad scientist in the world, who is imprisoned in both series. She likes to do experiments and does all sort of things to the Masaki House. She is over 2000 years old but looks only 12 years old. Kagato is a super villain the Tenchi series. He is cold and calculating. He is very serious. He also has a great ship and has a goal to catch someone to make him more powerful.